5 Top Vacation Ideas for Women Who Defy Gravity! Home Lifestyle Travel ﻿5 Top Vacation Ideas for Women Who Defy Gravity! ﻿5 Top Vacation Ideas for Women Who Defy Gravity! Dubai is a popular solo vacation destination for women of color and men who want to experience the high life. There's something to be said about this penthouse view and for me, it's "Help!" Trying to come up with unique vacation ideas for women? Or has work got you down? It could be that you are crossing goals off your Bucket List. On the other hand, if you are a free spirit, sometimes, you need to lose the connection to the soil in order to find a higher purpose in life. Traveling has a way of restoring, repairing and regenerating the mind, body, and soul. When life gets you down, visiting a new place could be the prescription you need to heal. That’s why I want to talk to you about five fun vacation ideas for women, five places that will give you a new outlook on life… literally. Keep reading to find out the best vacation ideas for women who defy gravity. Vacation ideas that change your life! The weather is awesome here in Venezuela. With snow-capped mountains and rivers, the region is a popular spot for hikers and thrill-seekers although many come to take pleasure in the coffee plantations, tropical plants, waterfalls and green forests. Nevertheless, the Merida Cableway, known in Spanish as Teleférico de Mérida, is the reason you may want to visit. It’s the highest and the longest cable car system in the world. The cableway connects the city to the Pico Bolivar, the highest mountain in the country, at 4,981 meters. The maximum capacity of every car is 60 person. Although the trip lasts for about an hour, there are five different stations where you can drop off to enjoy the view. Rocamadour is a medieval village hanging on a cliff in the Occitaine french region. Sounds incredible, right? Nevertheless, when you arrive at the entrance of the village, you will face a monumental staircase with 233 stairs. This is the only way to reach the amazing monasteries and churches that made the village of Rocamadour one of the World Heritage Sites. Don’t miss the Black Virgin while you’re there. She is quite the interesting little character. There are hundreds of Black Virgins, but ironically, there is only one who’s Black. People, in theory, offer explanations as to why she was dark and say because she worked in the fields, or because of the candle smoke, but surely, she has powers beyond belief. Cuzco is a gorgeous city, intertwined with western civilization and the indigenous genes of its past. The meaning of the name Cuzco is “center of the world,” and it’s definitely true! The World Heritage Site is known for its beauty and for the incredible height of 3,400 meters. It’s one of the reasons why people love to visit. With the size of the monument, it makes the tour through the city a little difficult. The majority of the tourist who visits Cuzco know the struggle of the “soroche,” the Spanish word to indicate mountain sickness. When in Dubai, it’s impossible to not visit the Burj Khalifa, the world’s tallest skyscraper. 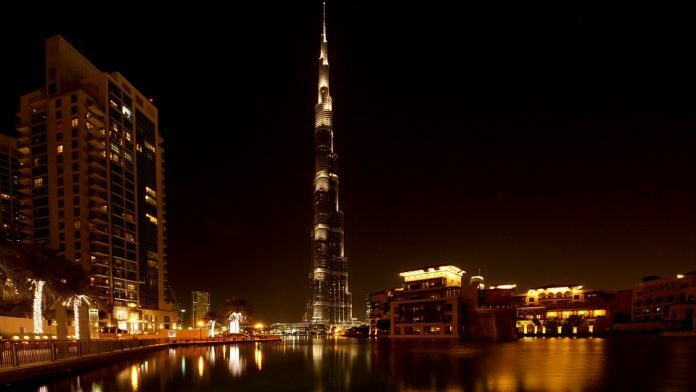 The Burj Khalifa 828 meters of height, 160 floors, this building is one of the most important examples of modern architecture. From the Burj, you can enjoy the best view of Dubai from two terraces that work like observatories. You can dance on the highest dance floor of the world, eat in the highest restaurant and take the elevator with the longest journey. One tower, so many records. Dubai happens to be one of the best vacation ideas for women of color. If you’re in need of gift ideas for women stirred by philosophy, this could be your best pick. Para Taktsang, Bhutan is also known as Tiger’s Nest. The Paro Taktsang is a Buddhist monastery suspended between earth and sky, at around 3,200 meters. The tourist attraction is a complex of buildings dedicated to the guru Padmasambhava. He was the monk that brought the Buddhism philosophy to the Bhutan. However, all the parts of this complex are perfectly nestled in the mountain, and to move from one side to another one you have to use the stairs, paths and suspension bridges. City, monastery, modern skyscraper: five destinations completely different one from another. Just pick the one you prefer (or more than one). Call your mom ’cause this is perhaps five of the best vacation ideas for women over 50. Don’t forget to bring your wings! Previous articleWant to save money? Here’s how to save money fast! Elisabetta is a freelance translator, interpreter, proofreader, and writer. Born in Italy, she always felt the need to travel to discover the world and get in touch with more cultures as possible. Currently based in Panama, living an eternal summer, with an ocean like confident and a sausage dog always by her side. Elisabetta never says no to a glass of wine, some good pasta, a day of shopping or some talk with her best friends. She appreciates the little things in her life, strongly believes in love, in the incredible power of a smile, and she never underestimates the time people dedicate to her.